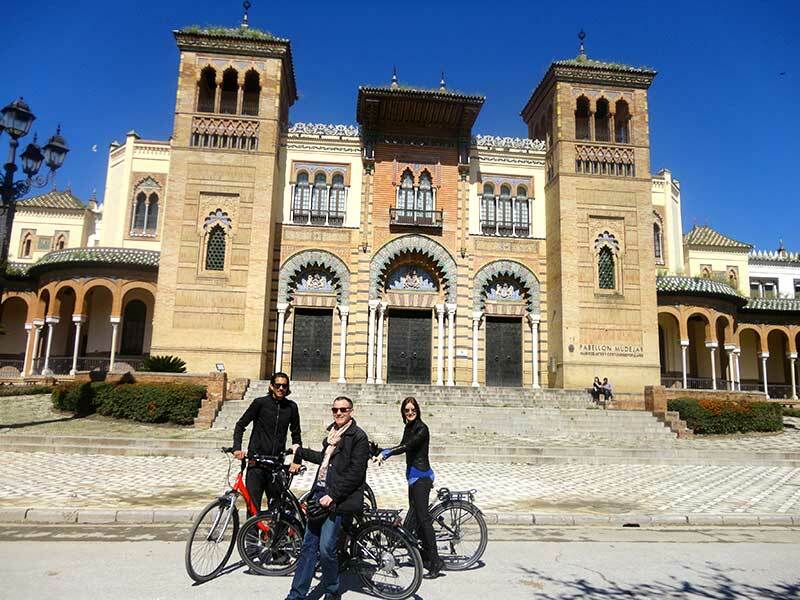 The perfect bike tour to explore and discover the monumental Seville! The Monumental tour in the city of sun. 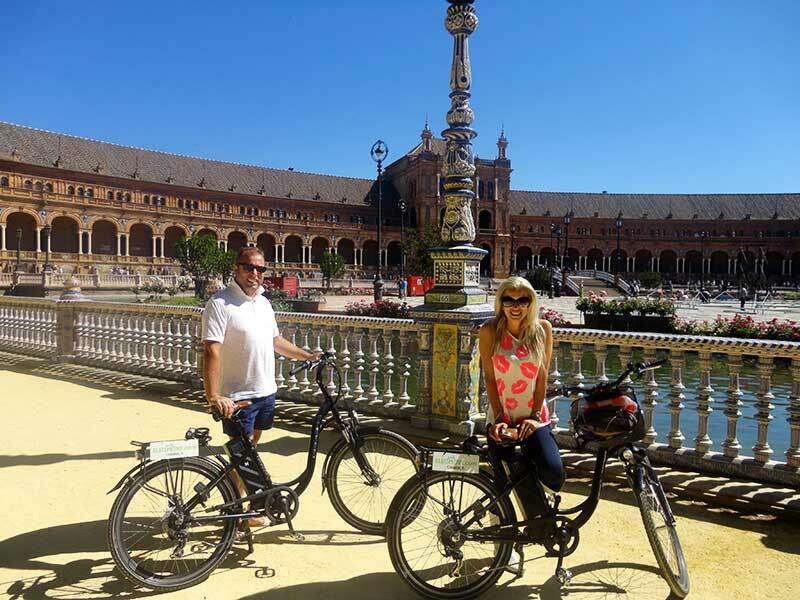 On this bike tour we will show you all the most beautiful buildings and sights of the city. All the impressive monuments of Seville are included in this tour, that´s why it’s the perfect introduction for you to this fascinating city. 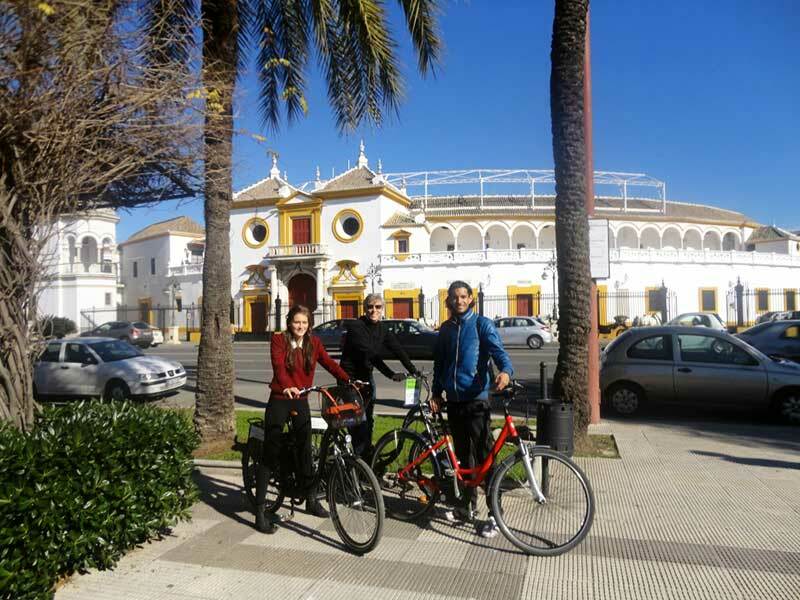 Seville is the city of the sun (320 days yearly), the orange trees and blossoms, flamenco music, tapas, more than 2000 years of history, and cycling. A lot of cycling. 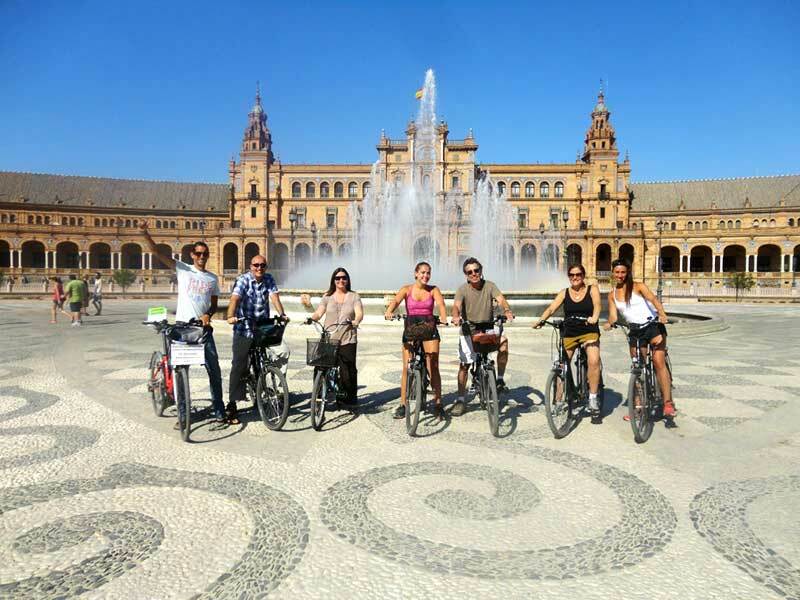 With more than 150 kilometers of bike lanes, Seville is one of the most bike friendliest cities in the world! 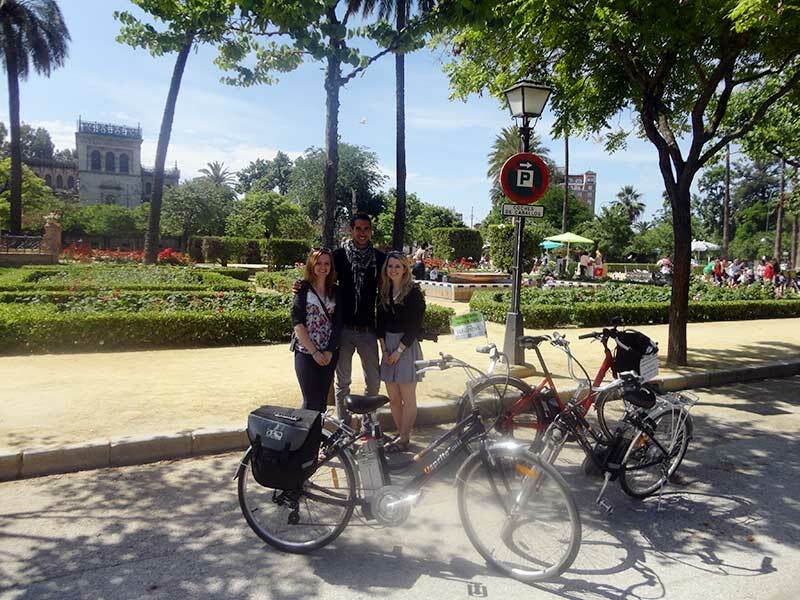 Joining our daily tour (in small groups), or in a private tour, you will ride through the city’s most beautiful and spectacular sights, such as the Cathedral and the bell-tower Giralda, the Alcázar, the old tobacco factory (where Carmen from the opera worked), the mythical Golden Tower, the outstanding park of Maria Luisa, the impressive Plaza de España, and of course, the river Guadalquivir. All in one tour! 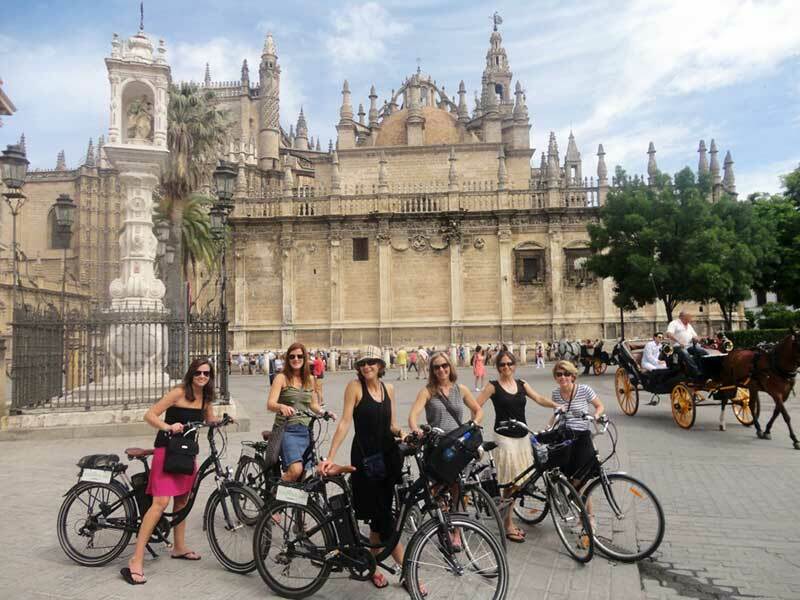 We will stop in front of the sites and in an entertaining way you will learn about the history and legends of Seville. Of course there will be time to take photos, have fun, ask questions, and chat about Seville, its traditions, tapas bars or flamenco places! Starting time: 10.10 o 16.10 (daily tours). For private tours, flexible schedule. For whom: For everybody but especially for those who does not know the city thoroughly. Experience (in biking): Low, 99% of the tour will be on bicycle lanes or in pedestrian areas.